This news story was published on April 12, 2019. DUBUQUE – A Dubuque man was stabbed after an altercation in front of his apartment Friday morning. 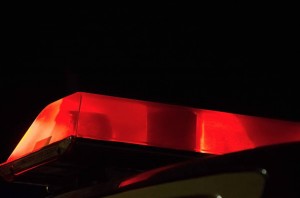 On Friday, April 12, 2019 at approximately 12:39 AM, the Dubuque Police Department responded to 2297 Francis St for the report of a stabbing. Officers arrived on scene and located Dustin R. McGonigle, 19, of Dubuque, inside the residence. McGonigle had a laceration on the left side of his abdomen and was transported to Finley Hospital by the Dubuque Fire Department. McGonigle reported he got into a physical altercation with a male suspect in front of 2297 Francis St. During the altercation, the suspect stabbed McGonigle in the abdomen. McGonigle ran back inside the residence and the suspect fled the scene. It is believed that the suspect is known to others associated with the residence and this was not a random act. The investigation is ongoing. McGonigle was released from the hospital after treatment and was arrested on a warrant for Failure to Appear.